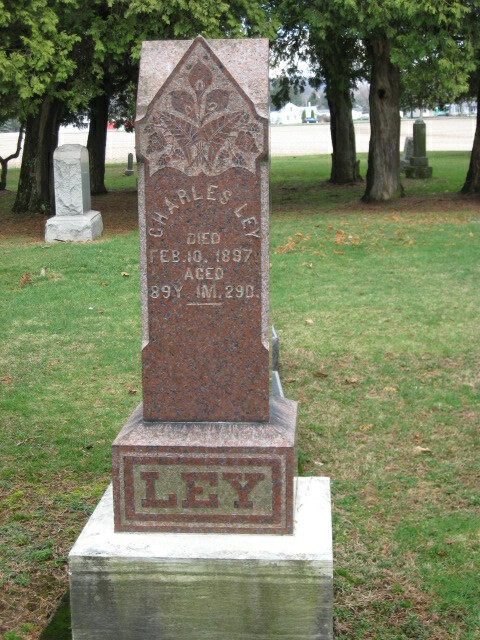 In a post a few weeks back, I detailed the history of our oldest Ley ancestor in America, Charles Ley. While visiting my parents this week, I’ve been afforded access not only to my Grandma Foutz’s archive of family photos, clippings, etc., but to my mom’s folder of genealogy research as well. She went through her own bout of family record-hunting in the mid-1970s. Among the great items she preserved was a 6-page booklet detailing Charles’s lineage from the time the Leys moved from the Netherlands to the Rhineland Palatinate area of Germany. I’ve transcribed the text of the pamphlet and posted below. A nice little happenstance is that this family history jibes exactly with the records I dug up in the International Genealogy Archives and detailed in my post on Charles. One sidenote: the family history printed in Shanesville features American spellings of German Ley names. That’s true of their grave markers as well. But international records — particularly from the church where Charles’s ancestors were ministers and where he and his siblings were christened — preserve the German spellings. Thus, Charles Ley as we know him becomes Karl Gottleib Ley, and Frederick Charles Ley in the record below was Karl Friedrich Ley. In the profile entries on Geni.com and Ancestry.com, I’ve tried to indicate the German spellings alongside the American ones. This comes from Janet Ley Foutz’s photocopied record of the original. Transcribed by Colt Foutz, June 2010. According to trusty tradition the family LEY comes from the Netherlands. 1. The first Ley came from thence to Keiserslautern, in the Rhine Palatinate, and erected at this place and carried on a cloth manufactory. his name, birthday, etc. are unknown. 2. He had but one son, who conducted at the same place a large rural estate. He was highly esteemed and held for many years the office of mayor of the city. his name, birthday, etc. are also unknown. 3. To him a son John Frederick was born May 6th, 1738. He studied theology and became a minister of the gospel at Imsbach, county Falkenstein, Rhine Palatinate. He was married to Maria Philippina Dorothea Lauckhardt, Nov. 25, 1764, and in the following year, 1765, he was installed as minister of the gospel in St. Alban, succeeding his father-in-law, the Rev, Geo. William Lauckhardt. a. The aforesaid Rev. George William Lauckhardt was minister in St. Alban from 1715.
b. His father John Nicholas Lauckhardt was also a minister of the gospel and had charge of the same congregation from the 1690s. John Frederick Ley had nine children, three of whom died at an early age. His three sons were George Ludwig, a wine grower; Frederick Chas., a clergyman; and Andrew, a Jeweler. His three daughters were Judith, wife of Dr. Koeppel, M.D. ; (name unknown), wife of Dr. Rocker, M.D. ; and Katharine, wife of a Mr. Brecher, the steward of an estate. John Frederick Ley died April 1, 1788; consequently this one congregation was for almost a hundred years under the care of one family. After his death a pastor by the name of Chelius had charge of the congregation for thirteen years. 4. Frederick Charles Ley, the son of the aforesaid John Frederick Ley took charge again of the same congregation as minister of the gospel, and held this position for 17 years, until his death in 1818. He was married to a Miss Engel. She came from the principality Nassau, where her father was a receiver and treasurer for the prince’s revenues. She had three sisters who were all married to civil officers. The first one was united with a Mr. Senft, and had two sons, who became ministers, and one daughter. The second one was the wife of a Mr. Ebhardt, the children of whom, all held divers high civil and military offices. The third one was married to a Dr. Fabel., who practiced in the Rhine Palitinate. 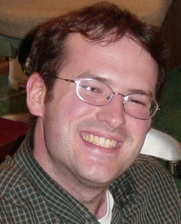 Frederick Charles Ley had four children, two sons and two daughters. His oldest son, Frederick, studied theology and died as dean in Muenchweiler. His oldest daughter Jeannette, was married to the Rev. George Fleischmann and had three sons, of whom two became ministers. The youngest daughter, Lisete, was the wife of REv. Charles Bauman. 5. His youngest son, Charles Ley, was born Dec. 11, 1807 in St. Alban, and learned the saddler trade. In 1833 he came to the united States, and in 1834 he established himself in Shanesville, Ohio. On May 25, 1835, he was united with Caroline Vogelsang from Neuhof, near Waldmohr, Rhine Palatinate. Eight children were born to them, four sons and four daughters; they lived a long and happy married life of sixty years. This ends the record. If you have interest in seeing the record scanned and uploaded page by page onto Geni, just let Colt know.